Every oily water separator system needs a debris strainer. 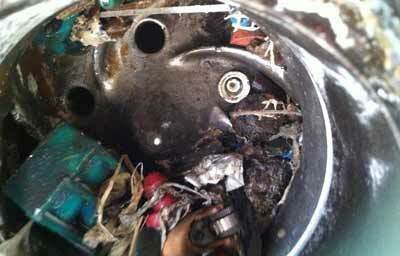 We are often surprised at how often customers buy an oil water separator without a trash strainer. Unless you enjoy cleaning and unclogging your separator every few days, or you want the cost and inconvenience of replacing your oily water pump several times a year, a debris strainer is essential. The need for a strainer is straightforward, but not all strainers are equal. If it’s not properly sized and designed, the strainer will clog up quickly, be difficult to clean, and drive your operators (who need to clean it out) up the wall! Choosing a good strainer is simple, once you know some of the basics. First: Make sure you have a strainer! As already mentioned, many cheap low cost oil water separators don’t provide you with a debris strainer. 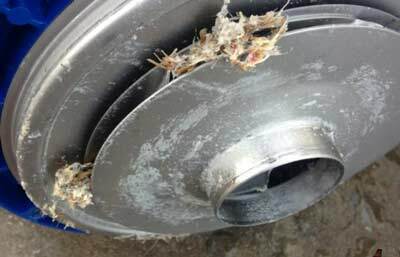 Don’t fall for that trap, insist on a good quality debris strainer to protect your valuable equipment. 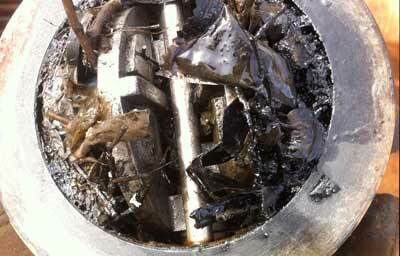 A good quality debris strainer will reduce the risk and cost of damage to pumps, valves and other equipment. Check out these photos of the damage caused by not having debris strainer. Second: Size the Strainer according to how often you want to clean it! 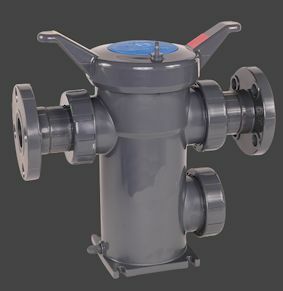 Both the strainers shown above are sized suitable for 3″ flow rate. Unless you have a lot of operators standing around with nothing to do, make sure you buy a BIG strainer so it doesn’t need to be emptied constantly.Give us a call if you need a hand working out your trash load and likely the cleaning frequency. The issue here is how easy are the strainer baskets to clean. 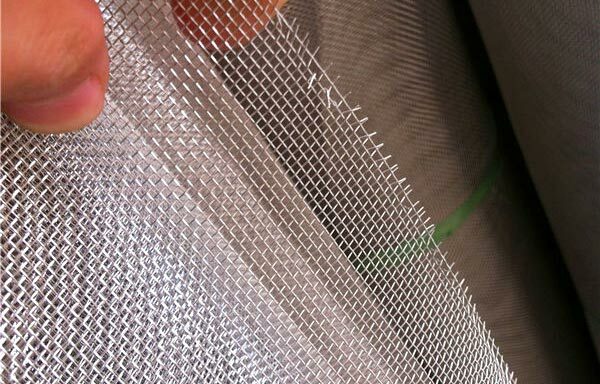 Woven mesh elements might be low cost but they quickly become expensive when you try to clean them. Fibres, grass and bits of plastic all get securely logged and tangled in woven mesh. They require operators to high pressure blast the element in order to clean. Sometimes the debris needs to be removed by hand. Slow, expensive and tedious. On the other hand with perforated sheet elements collected debris usually falls right out of the basket. Easy. 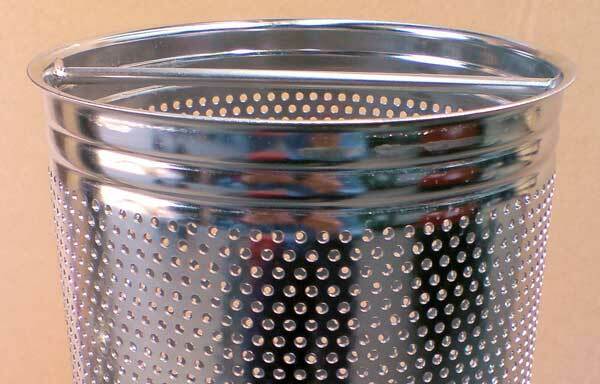 The other aspect of cleaning the strainer is how easy it is to get at the strainer basket. We use eye bolts on our strainers so they can be opened by hand. If you don’t need any tools to open the strainer then you never have the wrong tool. Get a strainer. Make sure you buy your oily water separator with a good quality strainer. Work out how quickly your strainer basket is going to fill up, and how often you want to empty it. Choose a capacity to suit. As a general rule, BIGGER is BETTER. Avoid mesh baskets. They’re very high maintenance, take hours to clean, and can kill your pump if they’re not emptied as soon as they’re full. Stick with perforated sheet instead. That’s why all Ultraspin oily water separators come with a large capacity, perforated sheet strainer as standard on every system. With 30 years of R&D and design iterations behind us, we’ve got strainer sizing down to an art! 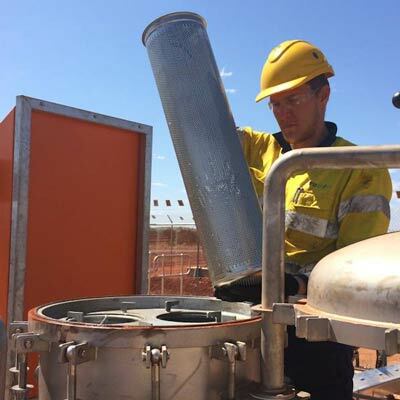 When buying an oily water separator, ensure that you specify these 3 key parameters clearly in your specs, or if you’re buying direct, request one of this type from your vendor. It will save you and your operators a lot of headaches!